Soccer on TV has become more interactive! Download the app and participate in games and polls during the match. Compete with your friends and find out who is the soccer star! 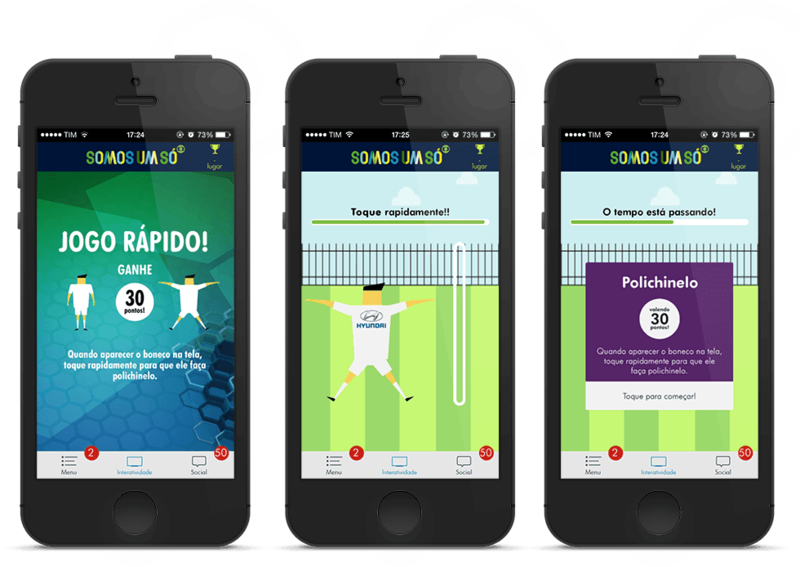 This is the second screen application created by Globo. The Webcore Games was responsible for the creation of 3 micro-games that are available within the application.